I love walking alongside women who want to delve into their personal relationship journey. It’s powerful and exciting to experience their aha-moments with them and see their transformation take place in front of our very eyes. Women, who work with me, feel more connected to themselves, become hopeful about relationships after years of feeling defeated, and create positive change in their relationship patterns. They report a renewed sense of joy in their lives as a result. Pathways of Grace offers a welcoming, non-judgmental energy that allows women to feel safe to unpack their relationship history, learn from it, and create deep change. Selina Schuh is an Educator, Speaker, Author and Owner of Empowered Living Strategies. For over 25 years she worked in Education, collaborating with students of all ages. Combining her passion for personal growth with her experience in effective teaching, she built step-by-step systems that help clients acquire the skills to build deeply connected relationships. She facilitates workshops around the Valley. Listen to Selina on The Book District discussing her latest book. Do you feel like your dream relationship is just a fantasy? Are you tired of being stuck in a cycle of pain and suffering? Are you waiting for that special someone to save you? In this empowering book, educator, speaker, author, and owner of Empowered Living Strategies, Selina Schuh, teaches you how to stop waiting and start loving fully. 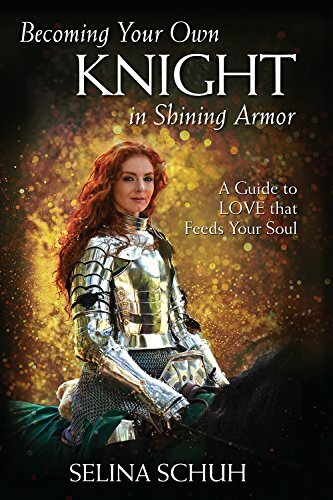 Having transformed her own love life from turmoil to true fulfillment, Selina takes you on a journey of personal growth that will help you embody the love you really want to feel so you can become your own "knight in shining armor." Using daily practices, backed by science, spiritual wisdom, and decades of her own experience, Selina will guide you through the limited beliefs and emotional roadblocks that prevent you from creating your soul-filling relationship. You'll learn how to love and care for yourself from the inside out. You'll find out how to let the Divine support you. And, you'll get tools to help you stay on track to creating the love you desire even when the road gets rocky. Course Participants Kim and Tony B. talk about their experience of our Vision Board for Couples event. To learn more about my work, visit Empowered Living Strategies.